The EU-Georgia Visa Liberalisation Dialogue was launched in June 2012. In February 2013, the European Commission presented the Georgian Government with an action plan on visa liberalisation (VLAP). The VLAP sets a series of precise benchmarks for four 'blocks'1 of technically relevant issues, with a view to adopting a legislative, policy and institutional framework (phase 1) and ensuring its effective and sustainable implementation (phase 2). The benchmarks need to be met before Georgian nationals holding biometric passports can enter the Schengen area for short stays without applying for a visa. In November 2013, the Commission adopted its first progress report on Georgia’s implementation of the VLAP3 and made several recommendations for completing the first (legislative and planning) phase. In October 2014, the Commission adopted its second progress report,4 which concluded that Georgia had fulfilled the first-phase benchmarks of the VLAP and was ready to be assessed on the second-phase benchmarks. In its conclusions of 17 November 2014, the Council concurred with the Commission’s assessment. The report was accompanied by an assessment of the potential migratory and security impacts of future visa liberalisation for Georgian citizens travelling to the EU. In December 2014, Georgia submitted an updated progress report. Evaluation of all four blocks of the VLAP took place from December 2014 to March 2015 under the lead of the Commission, during mission visits involving experts from EU Member States, assisted by the Commission, the European External Action Service (EEAS) and the EU Delegation to Georgia. The Commission adopted the third progress report on Georgia's implementation of the VLAP on 8 May 2015.5 The report took note of significant progress made by the Georgian authorities in implementing the second phase of the VLAP and acknowledged the fulfilment of many benchmarks under the four blocks. However it also pointed out that several issues still needed to be addressed in the following areas: migration management, asylum policy, trafficking in human beings, fight against corruption, money laundering, drugs, law enforcement and citizens' rights. This is the fourth progress report on Georgia’s implementation of the VLAP. It looks at how the Georgian authorities have addressed the recommendations of the third progress report in relation to the remaining VLAP benchmarks. This report does not elaborate on those benchmarks that were considered as already achieved in the last report because monitoring has demonstrated that they are continuing to be fulfilled. The factual information and assessment are based on the findings of the EU evaluation missions that took place in Georgia in the week of 28 September to 2 October 2015 in four areas (migration management, asylum, fight against corruption and trafficking in human beings), which involved experts from EU Member States, Commission officials, representatives of the EEAS and the EU Delegation to Georgia. Additional information on these four areas and on the other remaining benchmarks was obtained through subsequent meetings and communications between the Commission, the EEAS and the Georgian authorities, as well as the progress reports submitted by Georgia on 17 August and 22 October 2015. This report is accompanied by a Commission staff working document6 which provides more detailed background information on the developments under each benchmark. In the annex to the staff working document, the Commission provides an updated factual analysis and statistics-based information on the possible migratory and security impacts of visa liberalisation for Georgian citizens travelling to the EU, based on inputs from relevant EU agencies and stakeholders. The assessment of impact gives prospective main trends in migration and security areas. It shows that the EU remains an attractive destination for migrants from Georgia and that there are potential migratory and security challenges to be monitored. This benchmark, which was deemed to have been achieved in the third progress report, has remained achieved. The migration management benchmark was deemed to have been almost achieved in the third progress report and measurable progress has been made in the meantime to address the Commission's recommendations. The risk analysis concept developed by the Ministry of Internal Affairs has been expanded to include all migration fields. A working group established within the State Commission on Migration Issues finalised in September 2015 a new comprehensive Concept of Migration Risk Analysis System. Seven state agencies will be involved in compiling analytical reports. The collection of data from different state agencies on immigration, emigration and internal migration will be ensured through the Unified Migration Analytical System. The EU and the Government of Georgia have been co-financing the introduction of this set of electronic tools, which should be tested by mid-2016. All these products will support Georgia in identifying risks, forecasting threats and establishing adequate measures, thereby managing migration in a comprehensive manner. The Ministry of Internally Displaced Persons from the Occupied Territories, Accommodation and Refugees (MRA) is responsible for the coordination of reintegration activities, which have been redesigned within the framework of the 2016-2020 Migration Strategy. The Government of Georgia is gradually taking ownership of the reintegration assistance process. It established a state reintegration programme in 2015, financed from the State budget, and will take over the Mobility Centres once an EU-funded project, financed from the European Neighbourhood Instrument (ENI), is phased out. In line with the 2016-2020 Migration Strategy, sustainable funding and enhanced capacity will ensure that the Mobility Centres can independently provide various reintegration services. A new analytical department within the MRA will establish an analytical reporting system to collect data on the overall number of returnees, as well as information on their qualifications and needs for reintegration. In the period between July and December 2015 Georgia implemented a comprehensive information and communication action plan on the VLAP and a future visa-free regime. Meetings, training and other events held in Tbilisi and in the regions involved more than 25.000 Georgian citizens. Various support media are being used to disseminate the information, ranging from leaflets to video clips and social network info-graphic applications on rights and obligations surrounding visa liberalisation. These activities will continue under the '2014-2017 EU Integration and Communication Strategy' and the '2016-2020 Migration Strategy'. Georgia has implemented in a satisfactory manner the actions recommended in the third progress report. The migration management benchmark is deemed to have been achieved. The asylum benchmark was deemed to have been partially achieved in the third progress report and measurable progress has been made in the meantime to address the Commission's recommendations. The legislative framework was amended to explicitly include asylum seekers as a category that would qualify for a visa on humanitarian grounds. The implementation process has already started. MRA, the Ministry responsible for determining refugee status, adopted procedural quality indicators to monitor the quality of decision-making on asylum applications. The quality of a personal interview is now being assessed by means of its recording. Considerable efforts have been made to reduce the backlog in the handling of cases. MRA has developed an efficient strategy with clear country of origin guidelines and instructions enabling caseworkers to specialise. Without compromising on quality, the backlog was reduced from 1.174 pending cases in March 2015 to a normal workload of approximately 200 cases in October 2015. A contingency planning mechanism has been established to deal with any massive influx of asylum seekers and a committee will be set up to decide on additional human and financial resources needed to cope with any further backlog of cases. To address the high number of rejected refugee status applications based on undisclosed security concerns, Article 25 of the 'Law on Refugee and Humanitarian status' has been amended. The new provision specifies the grounds on which an application can be rejected for state security purposes and obliges the State Security Agency to provide MRA with minimum information about the asylum seekers’ potential threat to state security. Staff involved in the determination of the refugee status participated in numerous external and internal training courses. The new Quality Control and Training Unit set up within MRA will be in charge of developing the national training programme. The introduction in Georgia of a new database containing country of origin information (COI) as well as access to other countries' similar databases will help to provide high-quality and up-to-date information. Furthermore, caseworkers have been briefed on basic principles of COI and an amendment to the legislative framework now clearly distinguishes between COI and policy products. The deadline for appealing a negative decision on refugee status has been extended from 10 to 15 days, whereas the time limit for each court instance to deliver judgments has been shortened to two months. To ensure that the right to appeal against a negative decision can be effectively used, the state sponsored system of free legal aid has been extended to asylum seekers. From 1 January 2016, they will have access to qualified staff and free legal assistance and representation in court. The ordinary procedure for acquiring Georgian citizenship requires knowledge of the Georgian language, knowledge of history and of basic principles of law. A special educational programme has been developed for refugees to help them to access the naturalisation procedure in practice. Building on the considerable progress already made by Georgia on integrating foreign citizens, the 2016-2020 Migration Strategy has set ambitious objectives in this field. The accompanying action plan will identify the financial needs for carrying out the planned activities. Georgia has implemented in a satisfactory manner the actions recommended in the third progress report. The asylum policy benchmark is deemed to have been achieved. in the third progress report and measurable progress has been made in the meantime to address the Commission's recommendations. The provision of services in the two victim shelters has been reviewed so as to be more suited to children. Additional staff has been recruited to take care of minors who are victims of trafficking and children accompanying their parents, who also benefit from individual rehabilitation plans. To increase the cost-efficiency of the State Fund, the services offered in the shelters will be available on a flexible basis, depending on the needs of the victims. A new offer form lists all available services under the State Fund and will help in identifying why a service has been refused. Georgia has taken significant steps to fight labour trafficking. A Labour Conditions Inspection Department was created in 2015 within the Ministry of Labour, Health and Social Affairs, whose inspectors have already visited 75 companies. Currently, labour inspectors can enter companies if they have a probable cause on trafficking in human beings (THB), labour exploitation or forced labour but the department does not have the power to impose sanctions. The Ministry of Internal Affairs stepped up intelligence-led investigations into all forms of exploitation. Out of 17 investigations led between January and September 2015, 11 were the result of a proactive approach. To secure the testimony of buyers of trafficked women, the Criminal Code was amended to allow for the non-prosecution of those who cooperated with the police in the investigation and prosecution of traffickers. The collection of data on victims, witnesses and suspected traffickers, as well as other relevant information, is now centralised in a single database. All key agencies may access and share this information. The existence of two separate hotlines for victims of trafficking, one operated by the Ministry of Internal Affairs, and another by the State Fund, is justified by the fact that some persons may wish to receive assistance without necessarily cooperating with law enforcement authorities. Partnerships with countries identified by Europol as key destinations and sources of trafficking have been enhanced with the allocation of police attachés and mutual legal assistance. Georgia has implemented in a satisfactory manner the actions recommended in the third progress report. The trafficking in human beings benchmark is deemed to have been achieved. The anti-corruption benchmark was deemed to have been partially achieved in the third progress report and measurable progress has been made in the meantime to address the Commission's recommendations. On 28 October 2015, the Parliament adopted the 'Law on Civil Service' along with a package of 46 secondary laws. The respective legal acts will enter into force on 1 January 2017. One of the aims is to depoliticise the civil service. Additional safeguards for the independence of appointment and dismissal of the head of the Civil Service Bureau (CSB) have been introduced. On 28 October 2015, the Parliament adopted amendments in third reading to the 'Law on Conflict of Interests and Corruption in Public Service', which establishes the legal basis for monitoring asset declarations and authorises the CSB to implement the monitoring process. The system of asset disclosure will entail new mechanisms for the detection and sanctioning of conflicts of interest and unjustified wealth. Based on those amendments, declarations will be monitored in the following three cases: (a) constant verification of the declarations of top- level officials exposed to high risks of corruption; (b) by random selection of declarations in a transparent manner through the electronic system based on specific risk criteria by the Independent Commission; (c) on the basis of well-founded written complaints/information submitted to the CSB. Amendments to the 'Law on State Procurement', which introduce criteria for dispensing with a tendering process for public procurement contracts, entered into force on 1 November 2015. The new provisions spell out the criteria for awarding a contract through simplified procurement and require the agreement of the State Procurement Agency. Applications for simplified procurement are in the public domain and all interested parties are entitled to express their considerations. The protection of whistle-blowers has been addressed in amendments which expand the status and the system of reporting of whistle-blowers. Accordingly, any person may be regarded as a whistle-blower, whether or not she/he is a public servant. The provisions allow both anonymous and confidential whistleblowing. The authorities continued to work towards full implementation of the GRECO recommendations. Georgia has implemented in a satisfactory manner the actions recommended in the third progress report. The preventing and fighting corruption benchmark is deemed to have been achieved. The money laundering benchmark was deemed to have been almost achieved in the third progress report and measurable progress has been made in the meantime to address the Commission's recommendations. In July 2015, the Georgian Parliament adopted several amendments to strengthen its legislative framework for cross-border cash movements. The scope of the declaration system for cross-border cash movements has been broadened. In addition to cash physically carried by natural and legal persons, cash sent and received by post and freight is now covered. Should a person fail to comply with the declaration obligation, she/he will have to pay a higher fine than before. To strengthen their deterrent effect, the sanctions are no longer limited to a maximum amount of GEL 3.000. Under the new provisions of the Tax Code, the penalty can equal 10% of the amount transported if it has a total value of GEL 100.000 or above. The Chief Prosecutor adopted a Recommendation to increase the effectiveness of confiscation of criminal assets. Among other measures to be implemented in the course of criminal proceedings, prosecutors and investigators have been instructed to trace every asset of the defendant and her/his close relatives, as well as to ensure confiscation even in the case of a plea bargain agreement. Various training courses and roundtable meetings were organised to discuss these issues with law enforcement bodies and prosecutors. The Financial Monitoring Service has been operating since 2004 as the national centre for receiving, analysing and disseminating suspicious transaction reports. The Service hired two new employees in October 2015 and plans to shortly announce additional openings for the remaining vacancies. The National Bank of Georgia supervises all financial institutions except insurance companies and private pension schemes. Its Methodology and Offsite Inspection Unit has been reinforced with the recruitment of six staff members. The Insurance Supervision Authority, which deals with insurance companies and private pension schemes, has created a new separate offsite monitoring division within the supervision department. Recent awareness-raising activities of the Financial Monitoring Service were mainly aimed at lawyers. These included training seminars on customer due diligence requirements and the development of a guide to the prevention of money-laundering. Future activities will also involve accountants and auditors. Georgia has implemented in a satisfactory manner the actions recommended in the third progress report. The money-laundering benchmark is deemed to have been achieved. The drugs benchmark was deemed to have been partially achieved in the third progress report and measurable progress has been made in the meantime to address the Commission's recommendations. Georgia has made good progress in implementing its national drug strategy and action plan, pursuing both demand-reduction policies and supply-reduction measures. Article 260 of the Criminal Code has been amended to distinguish between criminal liability for possession and distribution of drugs. The maximum penalty for drug possession has been reduced from 11 years' imprisonment to six years. In practice, since the entry into force of the amendment on 31 July 2015, sanctions other than imprisonment have been used in the majority of cases decided on the basis of Article 260 for drug possession. Georgia's legislation provides sufficient safeguards to protect individuals from arbitrary drug testing by the police. Stricter conditions for performing random drug tests were set by order of the Minister of Internal Affairs on 30 September 2015. Reasonable grounds for believing that a person has consumed drugs are no longer sufficient and must be accompanied by other circumstances to justify an unplanned test. Moreover, the decision to perform a test can be challenged before the internal monitoring body of the Ministry of Internal Affairs, an administrative court and/or the Prosecutor's Office. Georgia has implemented in a satisfactory manner the actions recommended in the third progress report. The drugs benchmark is deemed to have been achieved. An intra-agency working group was established in May 2015 to develop the concept of a unified risk analysis mechanism, based on intelligence-led policing. The concept was approved on 22 October 2015 and the working group began drawing up a detailed action plan of measures to be adopted for implementing the future risk assessment system. The assessment reports on all-encompassing threats that will be produced on this basis should help to determine future crime trends and measures to address them. The Ministry of Internal Affairs recently issued and presented to its staff located in Tbilisi and in the regions new instructions on existing resources and activities needed for international cooperation. Staff of the Ministry of Internal Affairs and the Chief Prosecutor's Office received an informational brochure on the existing cooperation mechanisms through Interpol and joint training courses were organised for investigators of different services to discuss possibilities offered by the international law-enforcement cooperation framework. Georgia has implemented in a satisfactory manner the actions recommended in the third progress report. The law enforcement cooperation benchmark is deemed to have been achieved. The citizens’ rights benchmark was deemed to have been almost fulfilled in the third progress report and measurable progress has been made in the meantime to address the Commission's recommendations. Georgia has launched and continues to conduct an information campaign across the country and through various media on equality, tolerance and diversity issues under the patronage of the Public Defender's Office. On 17 August 2015, the new Strategy for Civic Equality and Integration was adopted together with an action plan for 2015-2020. It replaces the previous strategy following a thorough performance assessment and a broad consultation with key stakeholders. The State Inter-Agency Commission is in charge of monitoring the implementation of the strategy and the action plan, including the results to be achieved by 2020. For each of the planned activities, adequate funding is to be provided by the state agencies within their areas of competences. This new strategy focuses on improving access of ethnic minorities to decision-making, political life and public services, including by overcoming language barriers. All relevant ministries and state agencies have made a joint effort to inform communities about their rights and to facilitate access to education and preserve their cultural heritage. Georgia continued to provide training for legal professionals on citizens' rights, equality and non-discrimination issues. Training courses aimed mainly at prosecutors, judges and Ministry of Internal Affairs officials were prepared in cooperation with civil society, international organisations and donors. In 2015, due consideration was given to legislative proposals submitted by the Public Defender's Office. The Human Rights and Civil Integration Committee, as well as the Legal Committee of the Georgian Parliament, have supported and worked in a cooperative manner on those amendments which would require private persons to provide the Public Defender with materials, documents or information necessary for the examination of a case. Georgia has implemented in a satisfactory manner the actions recommended in the third progress report. The citizens' rights benchmark is deemed to have been achieved. Since the launch of the EU-Georgia Visa Liberalisation Dialogue in June 2012 and the presentation to the Georgian authorities of the Action Plan on Visa Liberalisation (VLAP) in February 2013, the Commission has regularly reported to the European Parliament and to the Council on the progress made by Georgia in fulfilling the benchmarks identified under the four blocks of the first and second phase of the VLAP. • the EU-Georgia Human Rights Dialogue. In each of these committees and dialogues, cooperation between the EU and Georgia is regularly addressed. 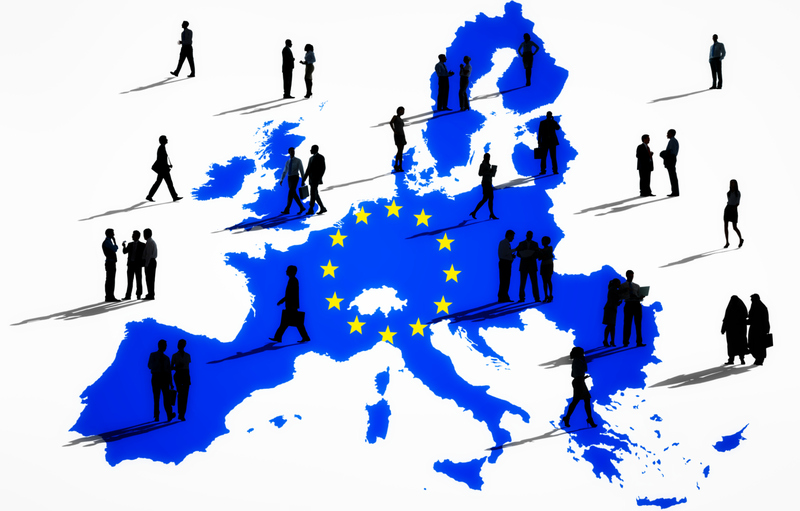 At the most recent Visa Facilitation and Readmission Joint Committees held on 13 October 2015 in Brussels and attended by representatives of EU Member States, the Commission noted that implementation of the two agreements was very satisfactory overall. The EU-Georgia Visa Dialogue has proved to be an important and particularly effective tool for advancing far-reaching and difficult reforms in the Justice and Home Affairs area and beyond, impacting on areas such as the rule of law and justice reform. Beyond VLAP benchmarks, Georgia took further steps to reform the Judiciary as well as the Prosecutor's Office. These issues are monitored in other dialogue frameworks, such as the Association Committee and the Association Council, and will also be monitored in the context of the Association Agenda. The progress achieved by Georgia over the last three years in all areas covered by the four blocks of the VLAP is steady and effective. It demonstrates the commitment and constant efforts of the Georgian Government and all state institutions that have made fulfilment of the VLAP benchmarks a top national priority. Georgia has allocated appropriate financial and human resources to ensure that the reforms are sustainable. The EU is also contributing to this process, notably through its EUR 16 million programme for 'Capacity Building in Support of Border Management and Migration Management'. In addition, the 'Human Rights for all in Georgia' programme helps to promote protection of minorities and vulnerable groups, strengthen capacities of the Personal Data Protection Inspector and establish effective functioning of labour administration. The continuous implementation of the VLAP reforms will also be supported by the upcoming Technical Cooperation Facility, which will cover migration management, fight against organised crime and combatting domestic violence. All this EU assistance is funded from the European Neighbourhood Instrument (ENI). Comprehensive information campaigns have been run, aiming to clarify the rights and obligations surrounding visa-free travel. Further activities are planned in the run-up to and after visa liberalisation, under the '2014-2017 EU Integration and Communication Strategy' and the '2016-2020 Migration Strategy'. Three progress reports on the implementation of the VLAP have been presented. The third report confirmed that Georgia was broadly in line with all the benchmarks set in the four blocks of the VLAP and identified actions that, if taken, would ensure Georgia's fulfilment of all benchmarks for the second phase of the VLAP. The Commission considers that since then Georgia has made the necessary progress and undertaken all the required reforms to ensure effective and sustainable achievement of the remaining benchmarks. All the measures identified in the third progress report have been taken. The legislative and policy framework, the institutional and organisational principles, and the implementation of procedures throughout the four blocks comply with European and international standards. Based on this assessment, and given the outcome of the continuous monitoring and reporting carried out since the launch of the EU-Georgia Visa Liberalisation Dialogue in June 2012, the Commission considers that Georgia meets all the benchmarks set in respect of the four blocks of the second phase of the VLAP. Taking into account overall relations between the EU and Georgia, the Commission will present, early 2016, a legislative proposal to amend Regulation (EC) No 539/2001. The Commission will continue actively to monitor Georgia's continuous implementation of all benchmarks under the four blocks of the VLAP through the existing association structures and dialogues, and, if necessary, through ad hoc follow-up mechanisms. Previous Article EU Discussion: "There are some urgent questions we have to find answers to"